Copenhagenize.com - Bicycle Urbanism by Design: Dan Maes Was Right About the Red Threat! 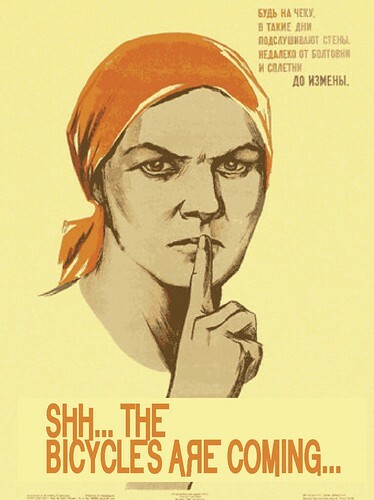 Dan Maes Was Right About the Red Threat! Sorry people, but Republican Gubernatorial candiate Dan Maes of Colorado was right. The bicycle is a Trojan horse that will destroy American values and society. The funny thing is that if you google Dan Maes the 4th link is to The Craziest Republican of the Day - Dan Maes. And many links on the first page of the search are about his wacko comments. Gaffes are punished on the internet these days. That's why this blogpost and others like it should be re-linked, re-tweeted, facebooked, you name it. And here's the piece duh lah resistance. 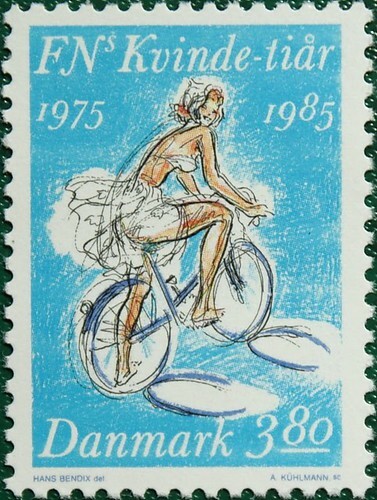 A United Nations (un-American) stamp celebrating the Womens Decade (un-American) on a stamp featuring a bicycle (un-American). And this one is real. 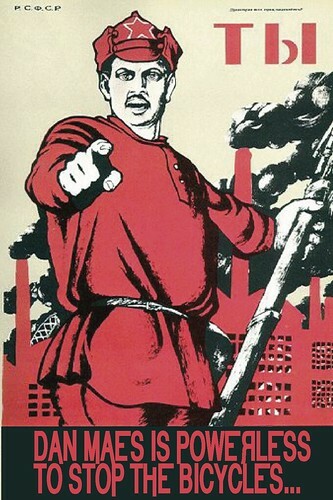 I was inspired by Cyclelicio.us' post about the same Dan Maes: Red Bikes, Red Dawn. 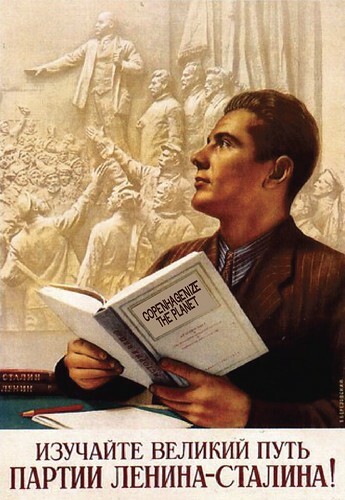 Here's a great gallery for Soviet posters.